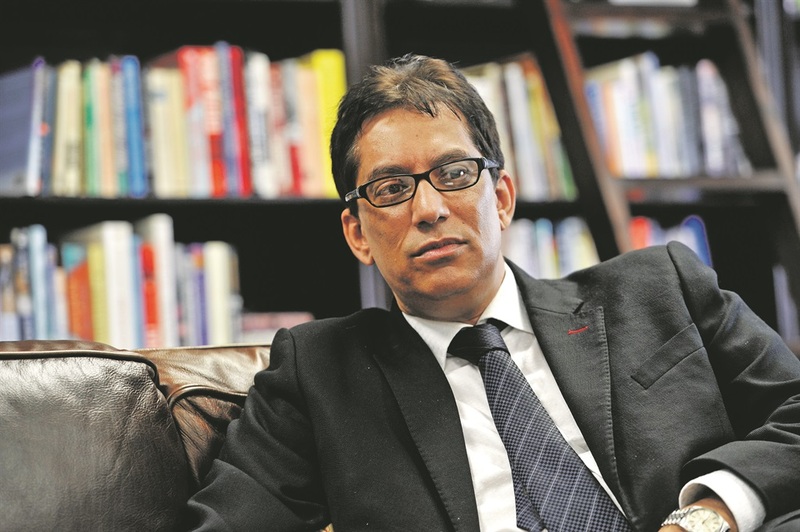 Last Thursday, readers of products supplied by Independent Media woke up to front-page headlines shouting what the media company’s owner and chairperson Iqbal Survé believed President Cyril Ramaphosa should say in his state of the nation address that evening. In a story that closely resembled a Zimbabwe Herald engagement with former president Robert Mugabe, the backside-creeping interview kicked off with the megalomaniac urging Ramaphosa to use his national address “to recognise that the custodians of transformation and empowerment in South Africa need to be supported”. This, by the way, means Survé and whomever else the mighty one may deem a fellow custodian. Survé then threw “a barb to his detractors” with a quote that betrayed the whole point of the message to the president. “The attack on Sekunjalo is an attack on genuine and authentic empowerment in this country. It is an attempt to roll back the gains that progressive people have made post our liberation,” said the man who could very easily claim he was the artistic adviser to the builders of the pyramids in a past incarnation. Friday was another big day for Survé. Alongside the glamourous pictures from the red carpet at the state of the nation address were photographs of the big boss rubbing shoulders with political royalty. “National Assembly Speaker Baleka Mbete greets Sekunjalo executive chair Dr Iqbal Survé,” read one caption. Note who is greeting who. On Monday, following a Sunday Times story on Survé’s alleged involvement in the capture of the Public Investment Corporation (PIC), he was back. He commandeered the front pages to defend himself. In an exclusive interview with his group, the weekend story was described as “an attack on transformation in the country, cloaked as pointing out governance issues”. On Tuesday, there was yet another story about Survé, this time responding to the DA’s demand that he appear before the Mpati commission of inquiry into the PIC shenanigans. In his statement, Survé said he would gladly appear before the commission. Then, in third person, he slammed the “detractors of Independent Media and Survé [who] have desperately tried to influence the commission in order to defame Dr Survé, Sekunjalo and investee companies”. On Wednesday, Survé went outside his own group and granted an interview to SAfm, during which he defended himself and attacked his so-called detractors. Needless to say, the SAfm interview found its way on to his products, in print and audio form. On Thursday, Independent Online ran a piece titled “10 points made by Dr Survé while publicly speaking on Ayo and PIC in live interview”. On Friday, there was another piece by Survé’s personal imbongi Adri Senekal de Wet – who would gladly spend her days daubing the boss’ lips after saucy pasta meals. 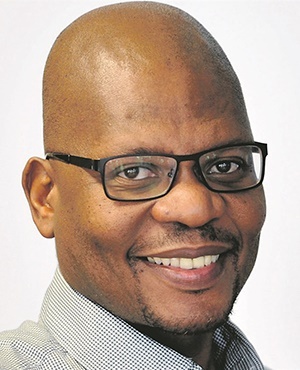 She exalted her leader’s virtues and challenged amaBhungane’s Sam Sole – who has written extensively about Survé’s dealings – to visit Survé’s offices and business operations to see for himself the beams of greatness that radiate from his every orifice. “Take your time to interview the fisherman, the factory workers, the managers and even the tea ladies. Let them tell you how Dr Survé, at challenging times, offered his salary and never retrenched a single worker. Will you do that, Sam?” she asked. One can only imagine the expression on her face as she asked that last question. So, will you do that, Sam? This lowly newspaperman has only given you a small snapshot of Survé’s ubiquitous presence on the pages of his media products. He is forever there – posing with leaders, making a point at conferences, chatting to fellow guests at cocktail parties, sitting next to someone important at a dinner or about to inhale his next breath of oxygen. His every utterance is captured with the regularity of the leader of a banana republic. The level of narcissism and abuse of position is simply breathtaking. If there was a show produced called Narcissism Idols, he and Hlaudi Motsoeneng would be both judges and contestants. So why does all this matter? Not because, as Survé would have it, people are jealous of him and his success. It matters because he owns and heads up an important media institution that should be serving the interests of the republic and the citizenry, not his ego and personal pursuits. The last time the democratic world allowed a power-hungry and self-obsessed megalomaniac to run rampant, it gave space to a dangerous man called Rupert Murdoch, who has been a menace to democracies on several continents, using his power to make and dismantle governments to protect and enhance his fortunes. Survé will never be a Murdoch – he would have to up his brain power quite substantially to achieve in our small pond what his apparent role model has done on the world stage – but he is the kind of self-interested media mogul who can set a terrible precedent in a democracy such as ours. Today is Sunday. Tomorrow is Monday.